Country Garden Inn Our records show that this inn is closed. Down Home B&B Our records show that this inn is closed. Hinckley bed and breakfast travel guide for romantic, historic and adventure b&b's. 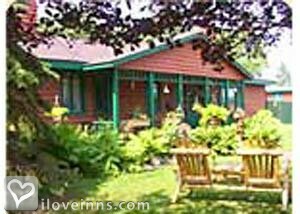 Browse through the iLoveInns.com database of Hinckley, Minnesota bed and breakfasts and country inns to find detailed listings that include room rates, special deals and area activities. You can click on the 'check rates and availability' button to contact the innkeeper. Conveniently set between Duluth and the Twin Cities, Hinckley has the best of both worlds. An amazing fact about the city of Hinckley is that it attracts so many visitors it comes in only second to the Mall of America. The reason for this is that Hinckley has a lot of things to offer its visitors whatever time of the year. In summer, people visit Hinckley because of its wonderful golf facilities. There is the Grand Casino which is open all year round. The winter season offers a lot of diversions for the family including snowmobiling and other fun snow activities. Hinckley bed and breakfast inns as well as numerous restaurants and hotels abound here in Hinckley which makes relaxation an easy thing to do. If you have kids who love history, Hinckley has its share of museums some of which are the finest in the state of Minnesota. By The Dakota Lodge. Hinckley is known for a firestorm that resulted in 400 deaths in 1894. Now, this Pine County, Minnesota city has made itself another reputation as a choice getaway for people who want to relax and spend an enjoyable time in a semi-rural setting. Hinckley bed and breakfast inns provide guests with service characteristic of the local residents' warmth. To learn about the Great Hinckley Fire, visit the Hinckley Fire Museum. This specialty museum, which is only half a mile away from the city center, provides visitors with the detailed account of the fire that swept the city. Near the city are a number of state parks that are good for nature-trekking and mountain biking. There are also lakes which are great for fishing and canoeing. In the evening, try getting lucky at the Grand Casino Hinckley. By Woodland Trails Bed and Breakfast.